Salads are a favorite around here in the summer time and I want to share with y’all 5 summer salads that will help cool you off and beat the heat! I am working with a small group of talented food bloggers to bring you a monthly recipe round-up. Each month will have a new themed recipe round-up. These summer salad recipes would be the perfect addition to the next family gathering or work great as the star of the show on your dinner table. Be sure to visit each blogger’s page by clicking on the link to see the full recipe. Also please comment on our pages to let us know what you think of our recipes. We are all so excited to bring all of our readers fresh, new recipes each month to spark your creativity in the kitchen. Don’t forget to share these recipes with your friends and family! 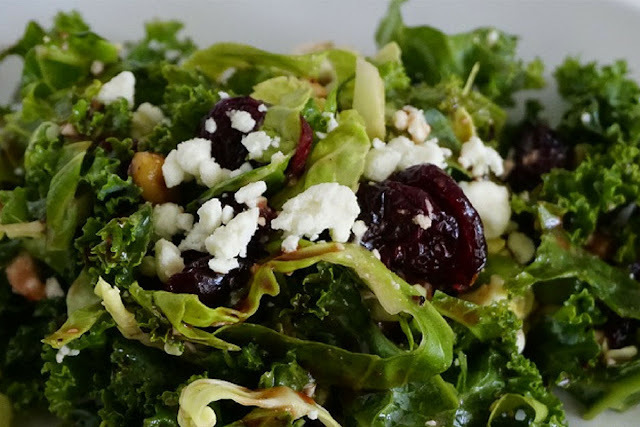 This Tasty Kale and Brussels Sprout Salad by Her Eyes Her View has my mouth watering because the dried fruit + nut mixture is always a favorite of mine! 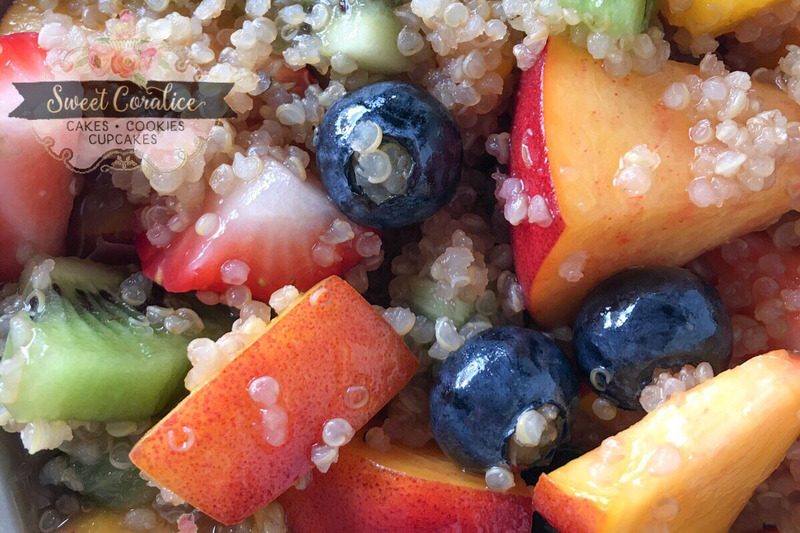 Quinoa is one of my favorite things to add to my everyday recipes, and Sweeet Coralice has done a perfect job of it! This Quinoa Fruit Salad with Basil Lime Dressing is about as good as it gets! The power couple blog, Couple in the Kitchen is amazing and oh, so classy! Their Heirloom Peach, Tomato, and Burrata Cheese Salad will feel like you’re actually tasting summer. 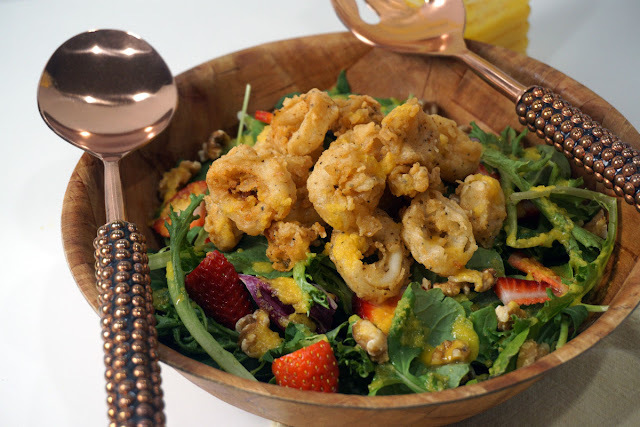 A Lil’ Sweet, Spice, & Advice has an amazing Buttermilk Fried Calamari Salad that will become a staple to your new meals! 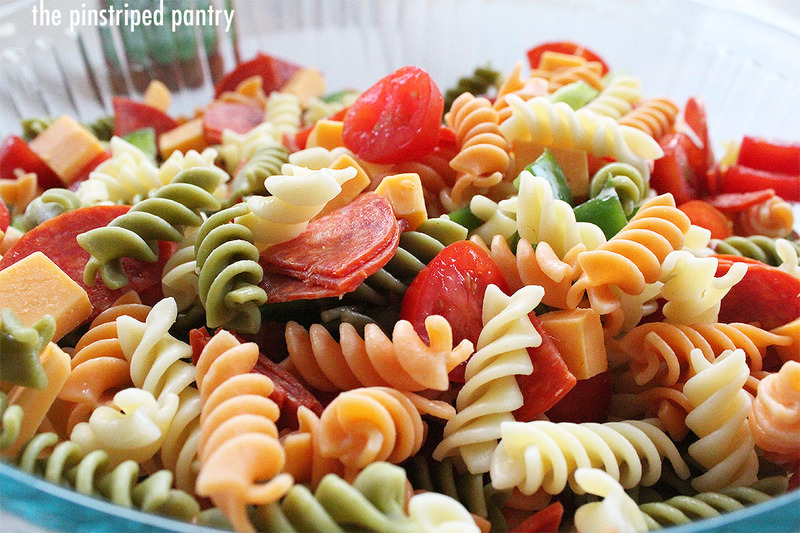 A Garden Rotini Pasta Salad that is always a crowd pleaser by The Pinstriped Pantry is simple and perfect to take on-the-go! 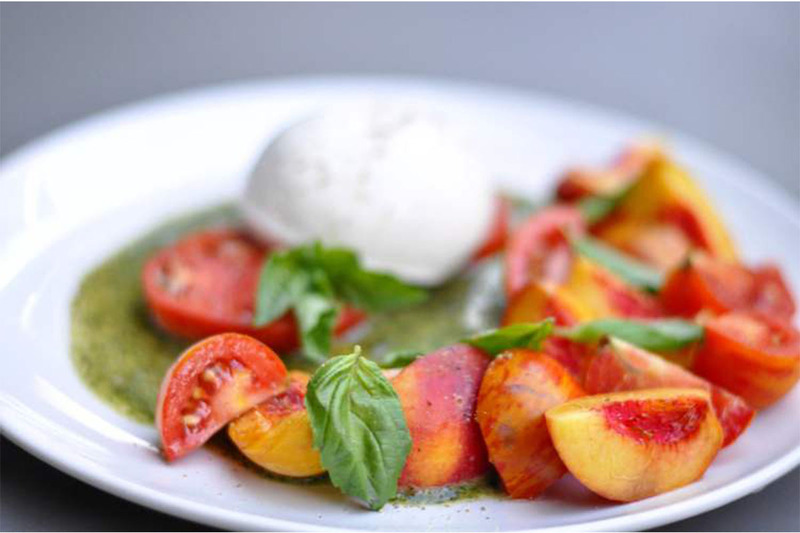 We hope that you enjoy these great recipes and we look forward to sharing more with you!